A very good example of a Round Tower with a height of 110 feet in height and with the door about 10 feet above the ground. The conical roof was rebuilt in the last century, but with the original stones. 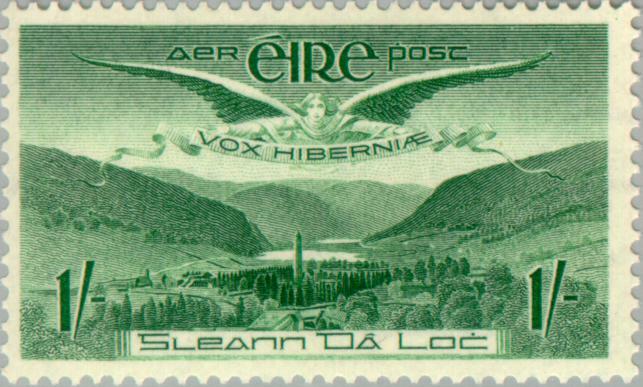 Depicted on the Irish airmail postage stamp – value 1 shilling issued April 4, 1949.